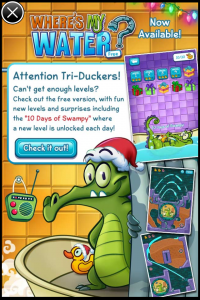 We’ve reviewed “Where’s My Water?” before, and perhaps you still had your doubts?! Now you can try the game for free! 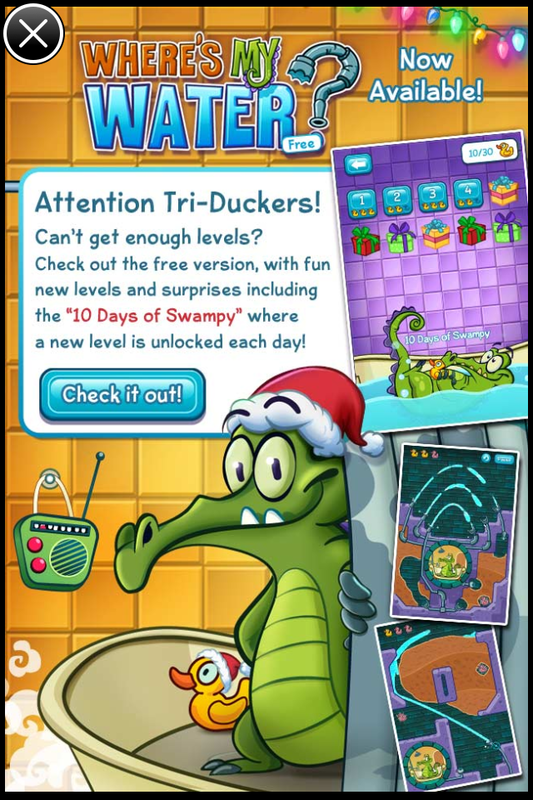 Beginning today, they’ll add a new level each day, with a “special gift” on Jan 1st!